Stomach sleepers can find it difficult to find a pillow that’s suited to their sleeping style, and despite it being considered as one of the worst positions to sleep in it hasn’t stopped an estimated 1 in 5 people from adopting the sleeping position. Sleeping on your front can cause issues such as neck strains due to the position your head is put in, or spinal strain due to your weight be distributed unevenly. The impact of these issues reduces by buying the best pillow for front sleepers. The current pillow market offers you dozens of potential options which makes the buying process slightly harder but we’ve created this guide to make it easy to decide which pillow is best suited to your needs. 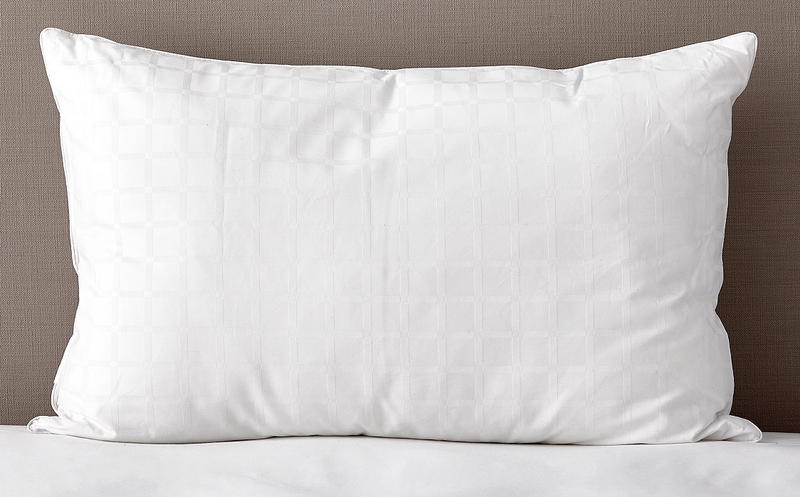 John Lewis has been manufacturing and selling high-quality products for many years, and this Natural White Goose Down pillow is no different. Made in the UK this pillow is perfect for front and back sleepers by providing soft cushioning relaxing your muscles leading to a pain-free sleeping experience. This pillow has a firmness rating of soft so you can sink into the pillow while still feeling supported allowing your body to relax fully. It also has a low-medium loft, so your neck isn’t at an uncomfortable angle preventing the chance of strains and aches. Staying cool throughout the night can sometimes be difficult; however, the down material is breathable allowing for air to flow freely in and out keeping you cool throughout the night. The pillow is covered in a soft cover which is a removable for easy cleaning, with the pillow also being Nomite so if you suffer from dust mite allergies, then you can still enjoy the benefits of this pillow without suffering from the effects. It's easy to clean and is machine washable so you can keep it fresh and germ-free. Also included is a 5-year warranty so if any defects develop then you can return to John Lewis for an exchange for a new version of the product. 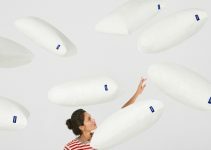 Soak and sleep have created a lovely pillow that uses a blend of Duck feather and Down filling for a comfortable yet affordable sleeping solution. The filling is 85% small Duck feather that supports your resting head while the 15% Duck Down brings warmth and softness to the pillow. Unlike poorer quality feather pillows, this Soak and Sleep pillow uses smaller feathers which are softer resulting in a more cosy pillow. You have the choice between a softer, lower profile which is ideal for front sleepers and a firm higher profile which is better suited to other sleeping positions. The pillow is covered with a 233 thread count removable case which can be quickly and easily machine washed to keep the outer layer of your pillow clean and fresh. 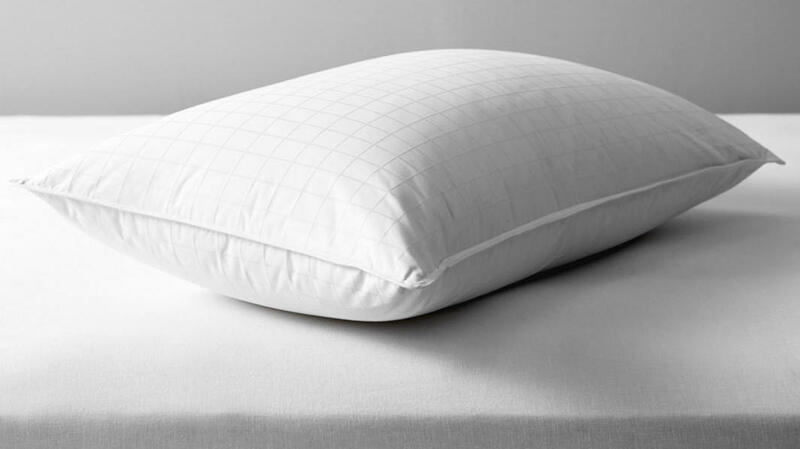 This pillow has received outstanding reviews from users who have used the pillow successfully long term. It’s clear Soak and Sleep also believe in the quality of the product as each purchase is supplied with a two-year warranty in the rare case that any defects occur with the product. 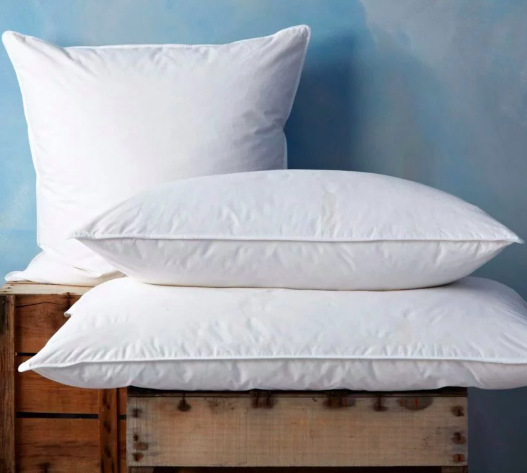 It’s probably no surprise to see that The White Company has a product featured in our list of best pillows for front sleepers. This pillow has a soft/medium firmness rating making it perfect for front sleepers as it provides enough sink for comfort but also has enough firmness to keep you supported. Despite being soft, it also can be re-plumped back into its original shape with ease once you have finished using it for the night. This makes it incredibly long lasting, and you can expect to get many years of use before it needs to be replaced. The pillow is covered in a 200-thread count case which can be removed and washed. Despite these outstanding features, it is still very affordable, so you get your money’s worth. With breathable fibres, air can flow in and out of the pillow so you will remain cool through the night without being woken up because of overheating. The pillows are also thoroughly tested by European standards for safety and performance. Homescapes have created a Goose and Down feather pillow which is ideal for front sleepers. These are designed and manufactured in-house so Homescapes have missed no detail. The filling is 15% White Goose Down, 85% White Goose Feather Filling to ensure that you stay warm and cosy throughout the night without sinking into the pillow and feeling uncomfortable. The pillow is covered in a 100% down proof, anti-dust mite cover which means that feathers will not poke through the cover and it's suitable for those that suffer from allergies. Homescapes only use high quality small whole feathers as opposed to cheaper alternatives that use larger curled feather which is of lower quality. The feathers are tested to meet the European Oekotex standards, and each shipment is accompanied by a certification that highlights that they have been subject to proper treatment. These pillows are also machine washable so you can clean them in the comfort of your own home without expensive dry cleaning costs. This is a multi-purpose pillow that suits front sleepers leading to a more comfortable sleep. The pillow provides great neck support in the midline position while also having a cluster fibre filling for lovely softness and comfort. This pillow can also be placed on top of your existing pillow for added depth or softness. It can even be rolled up and used for lower back support. One key attribute of this pillow is that it’s easy to clean and can be machine washed and is also has a hypoallergenic cover which is durable and 100% cotton. 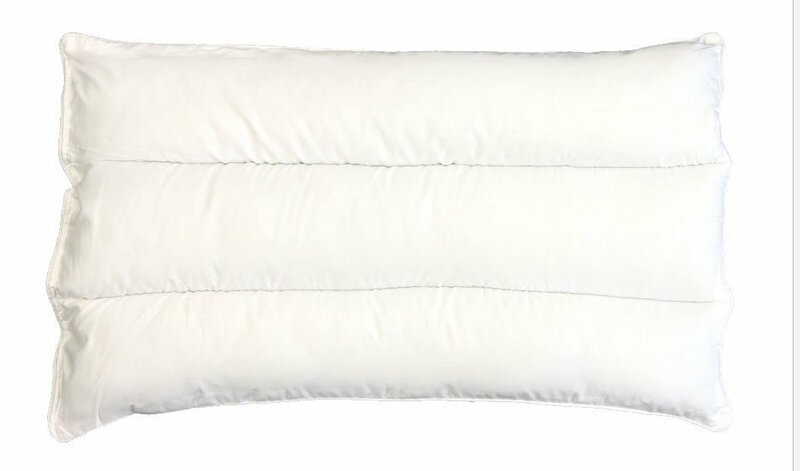 The pillows quality can’t be underestimated, and it’s been featured on QVC, and As Seen On TV, so it’s clear that this is a well-established product. If you’re fed up with the typical large thickness of traditional pillows that can be a nightmare for front sleepers, then this thinner pillow can be the answer to your sleeping issues. Stomach sleepers are less prone to snoring than back sleepers. This is due to the muscles in the breathing passages relaxing when you sleep on your front. This ensures that the passages are less restricted so air can flow freely through them, while there is also less of a chance of your tongue blocking the airways. Although it's said that sleeping on your front can be bad for the spine, this is only when you have a poor quality pillow. With the best front sleeper pillow, it will help to align your spine which reduces pressure and pain that usually develops due to the stress placed on the shoulders and hips. The added relaxation helps you to get better quality sleep. Women can experience an added advantage that sleeping on your stomach can bring, which is decreasing the effects of menopause. This sleeping position reduces body pains, anxiety and gastrointestinal symptoms. Side sleepers are susceptible to developing wrinkles on the side that makes direct contact with their pillow, and they are likely to appear more pronounced on the side of your face that you regularly sleep on. Stomach sleepers have the benefit of not developing wrinkles as quickly. Pillow loft refers to the thickness or height of the pillow, and this is very important for stomach sleepers. There are three main categories for pillow loft. Different lofts have their benefits and negatives for stomach sleepers. High loft pillows are not suited to front sleepers because this puts the spine and neck in a vulnerable position which can lead to strains. However, some poor quality low loft pillows are too thin in thickness to provide the necessary support to the sleepers head. For stomach sleepers these high lofts will also make it uncomfortable to sleep decreasing the amount of quality REM sleep that you get each night, not to mention waking up in the morning with a stiff neck. So a slimmer pillow which has suitable firmness is the best option for a front sleeper. This may not seem right at first because thin pillows don’t look as comfortable as the plusher alternatives that are stuffed full with fillings. The pillows with a high loft are better suited to side and back sleepers. 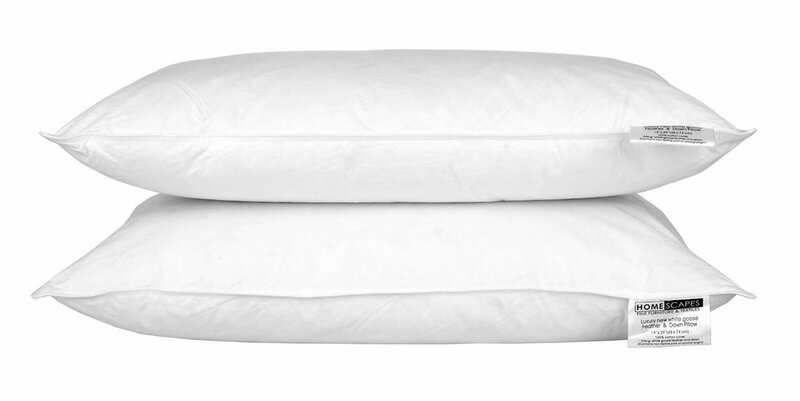 Low and medium loft pillows are the best for stomach sleepers with a thickness of between two and five inches. The pillow loft that will be best suited to you will depend on other factors such as body weight, should width and the firmness of your mattress. You should consider the brand of pillow that you decide to buy because when it comes to stomach sleeping pillows, there are a few market leaders due to creating high-quality products that last years. These well-established companies also often have better customer service if you do run into issues, while also offering product guarantees and warranties to give you added peace of mind. Sleeping on your stomach can be hot business. If you’re regularly finding yourself overheating throughout the night, then look for a pillow that has cooling technology within it. It usually comes in the form of the material that’s constructed inside the pillow to allow air to flow freely in and out of it. The price you’re willing to pay will vary from person to person, but you should set a budget before you start looking. Pillows for front sleepers are relatively affordable, and it’s important to remember that they last for many years before losing shape so you should look at it as a long-term investment that you’ll gain benefits from every night. It’s common that the better the brand and quality of the pillow the higher the price. It’s usual for sleepers to try and reshape their pillows into a more comfortable shape to accommodate their sleeping position. This refers to the moulding ability of a pillow and is essential for people who generally find it hard to sleep throughout the night and regularly move their pillow. Memory foam is one of the best pillow fillings for front sleepers because it moulds around the user's body to provide support while springing back to its regular size when pressure is released. Memory foam helps to cradle the neck and head area to relieve tension. Also, Memory foam generally has a low loft which decreases the amount of strain on the neck, and this higher quality reflects in its slightly higher price. Latex pillows are similar to memory foam and have strong firmness to provide support while also contouring to the exact shape of the body making it great for stomach sleepers. Latex pillows also have efficient cooling capabilities, so you don’t overheat throughout your sleep. Down filling is sourced from the underbelly of either Geese or Ducks and is soft in feel. This softness makes them adjustable in loft while also being lightweight and cool to sleep on. Because of their low loft, this makes them comfortable for front sleepers. Feathers are found on back or wings of Geese or Ducks and are similar to Down which is extremely lightweight and soft, plus they're mouldable so the loft can be altered to your individual needs. Although sleeping on your front may not be the healthiest position, it may be the most comfortable for you. All you have to do is make sure that you get the best stomach sleeper pillow that keeps your neck and head in a healthy natural position. So the key factors are the loft and firmness of the pillow, so ideally you need a pillow listed in this guide that's both relatively soft and thin. 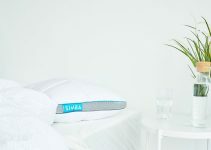 The Best Memory Foam Pillows of 2019 Reviewed!